Change is the only constant thing and with it comes a lot of uncertainty that also leads to risk issues. And this is the last thing that IT business owners want. Today, companies that want to deliver high quality projects have to hire experts and resources in house, which is at times very difficult to find because of increased costs and responsibilities. The best option that is considered is to hire a software outsourcing company in India and get the project completed within time and budget. But outsourcing also comes with its own challenges and at times can be difficult to handle if not managed effectively. Organizations that don’t prepare themselves properly often lose control and also see reduced quality of their products and often has to face hidden costs. Though the software development outsourcing industry in India is constantly growing and changing, it is very important for business organizations to know how to measure and reduce the risks before getting exposed to them from the very beginning. Outsourcing companies operating across the globe, often have cases of identity fraud and information leakage. The IT outsourcing market is very competitive and so to bring in new customers and to build the trust factor, they should establish high security standards. Outsourcing companies operating from India try to eliminate even the slightest chance of any security loopholes. And as a customer, it is your duty to evaluate the outsourcing proposal and conduct a thorough research to take care of the security aspect. Post implementation, it is advised to conduct regular IT audits to identify the loopholes. You are the best person who knows your business, employees and the processes. You know the importance of quality and the parameters to measure them. But when it comes to outsourcing, your service provider may promise something on paper and deliver something else later on. It is because of such cases that software outsourcing is often feared. To mitigate this problem, don’t compromise on the quality even if you have to pay your vendor a bit higher than other services. Before choosing the best outsourcing service provider, you should seek references from other sources. Many organizations often say that they are not willing to outsource or hire remote teams because they have a doubt regarding their knowledge and experience. This is true and the results can be catastrophic if you choose an amateur outsourcing company. Are You Looking for Right Outsourcing Partner? What you can do to confirm if they are really experts is to choose a company that is already established and enjoys a good market reputation. 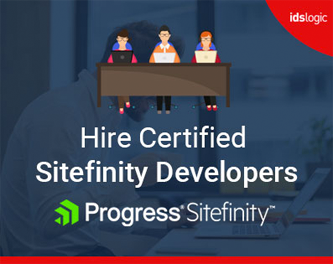 Additionally, your partner should be able to offer trainings and consultation from time to time to keep their developers upgraded. It is true that project managers will find it difficult to have complete control over some processes that are outsourced. Lack of communication may result in delayed project delivery. This can be reduced by establishing regular reporting, i.e. daily or weekly based on the complexity of the project. And in case you want to enjoy complete control on your remote team, then hire dedicated developers for your long term project.